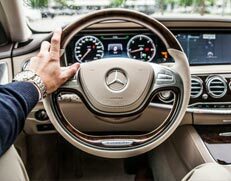 Buying a pre-owned car can offer you the same luxury and comfort without having to spend a huge amount, but there are possibilities of paying more than the worth of the car. That’s why it is recommended to opt for pre-purchase vehicle inspection service to ensure that you get the best value for your investment. At Bob Watson Service Centre, we provide pre-purchase inspection service to our customers across Hawthorn East, Camberwell, Kew, Balwyn, Canterbury & nearby suburbs at fair prices. Why Should You Get Pre-Purchase Vehicle Inspection? Vehicles are huge investments and purchasing one without inspecting it properly can turn a good deal into a nightmare. Thankfully, we provide pre-buy vehicle inspection service to our customers and let them make a well-informed decision. Our mechanic inspects the vehicle and determines its cosmetic, mechanical and safety condition. Moreover, we will highlight the existing conditions as well as the potential issues that could arise in the future. By knowing what is happening under the hood, you can make a great purchase with complete peace of mind. What Does Our Pre-Purchase Inspection Consists Of? We are well-equipped and experienced enough to work on a wide variety of vehicles and can quickly recognise the potential issues. Our mechanics inspect each and every component thoroughly and provide you with a detailed report that includes the analysis of the body, mechanical components, cosmetic components and signs of water, flood & accidental damage. With the state of the art diagnostic equipment, we reveal the hidden issues that lie underside of the car. At the end of the pre-purchase inspection, we provide inspection report along with estimation for necessary car repairs. If you think that you have found the right vehicle for you, try our vehicle inspection service before making any investment. Call us at 03 9882 2451 to schedule an appointment today.